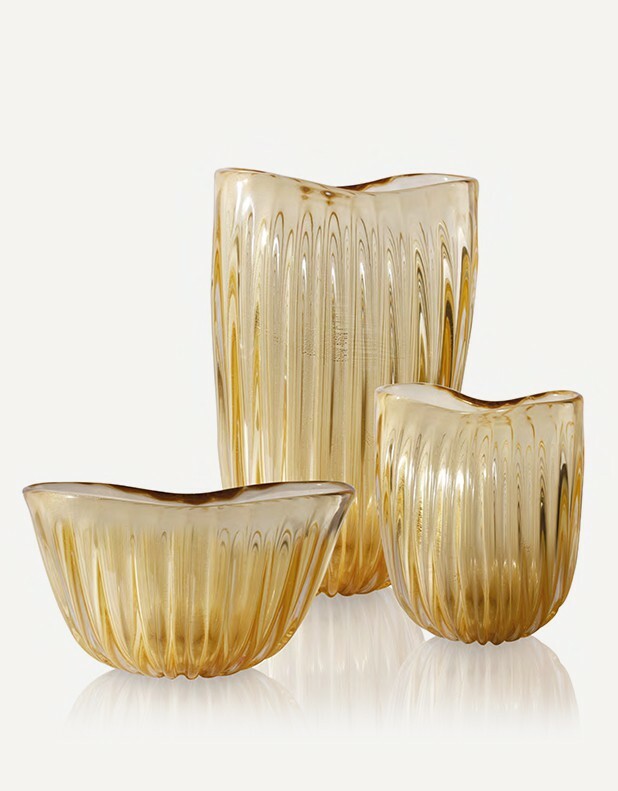 Vase Cenere is one of the classic pieces in the Fornace Mian collection, an important Venetian company specialized in the Murano Glass production. By its sober and elegant look, warm color, the Cenere vase has vertical grooves, while the diameter is irregular and flattened on the back, appearing and giving an effect of movement to the entire sculpture. Disponibile in 7 - 10 giorni lavorativi. Production Time Available in 7 - 10 working days. We're glad to answer to any question about our products or specific requests!